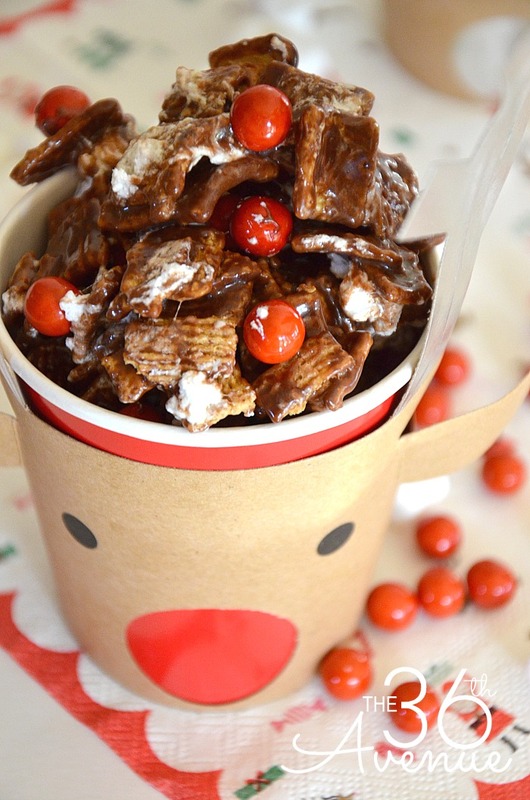 This Christmas Recipe is so much fun and kids love it! Our Reindeer Food is crunchy and gooey at the same time and the best part is that it’s for humans! This yummy Christmas Snack is super easy to make and you can have it ready in about ten minutes. It’s always a crowd favorite and perfect for neighbor gifts, Christmas Parties, and family gatherings! 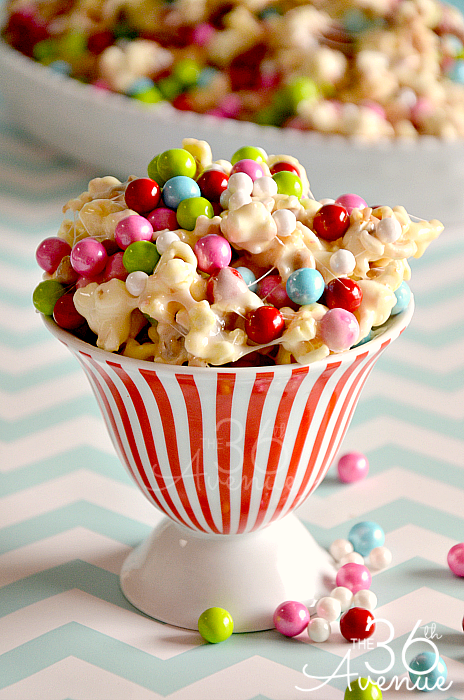 You are going to love this festive and fun treat! 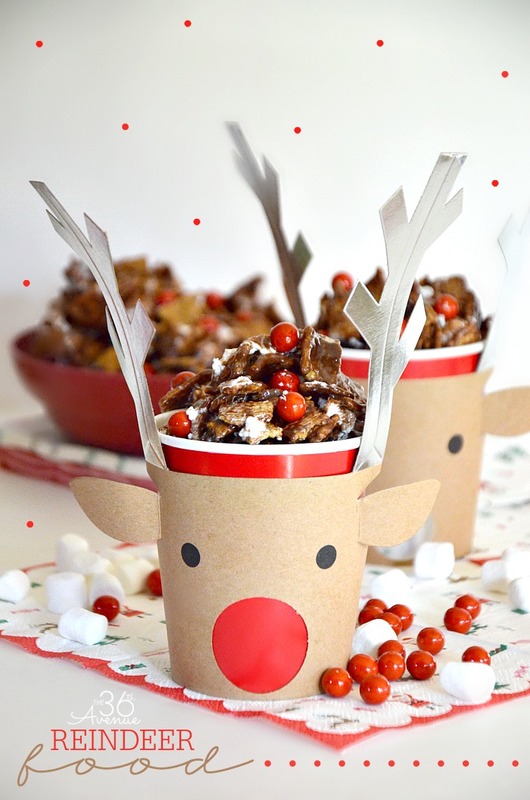 Serve them inside of a cute reindeer cup and share it with neighbors and friends! In a large bowl empty the cereal box and put aside. In a sauce pan mix the corn syrup, butter and chocolate chips. Bring to a boil on medium heat, stirring often. Remove from the heat and pour the chocolate mixture on the cereal. Add the marshmallows right away to the cereal and mix all together until the marshmallows melt. Some of the marshmallows may not melt all the way and that's fine. Top with red Sixlets to give it a festive look! 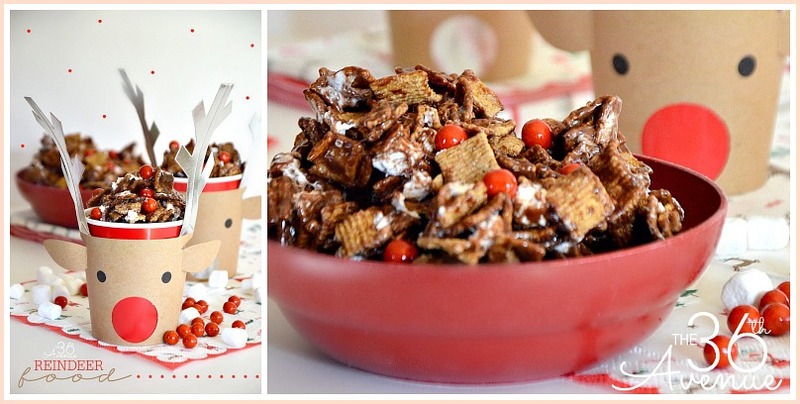 Here are some other Christmas Recipes that we love! 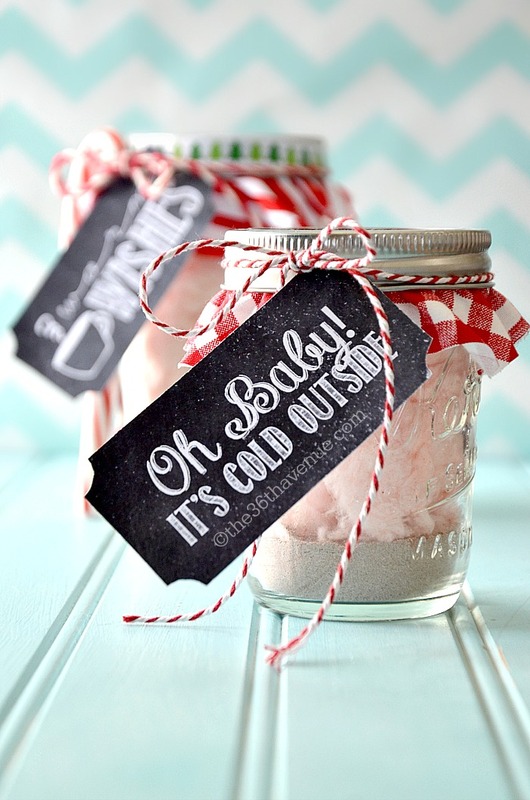 …And HERE are these 25 Edible Christmas Gifts! Perfect for neighbors and friends! Where did you get the cutouts for the reindeer cup! 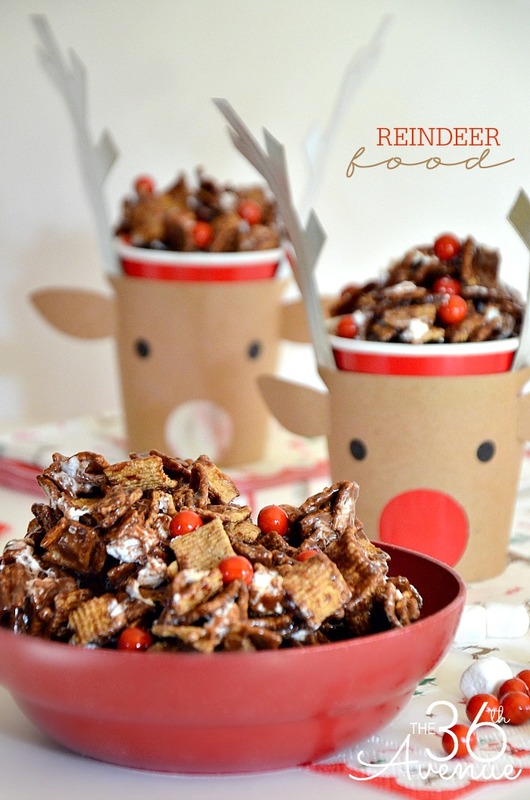 On your reindeer food recipe do you use semisweet chocolate chips or milk? Thanks can’t wait to try this. I use milk chocolate chips. 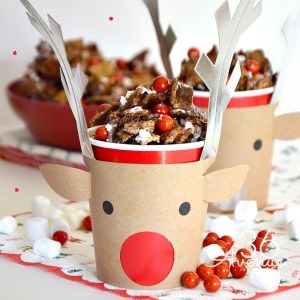 Do you have a tutorial on these reindeer cups or a link to where they can be purchased? So cute! Amie I got them at a store last year! Is this something that needs to be eaten immediately so its still warm? or do we let cool first? You can eat it whenever. Love this idea! My kids would love it too! Do you happen to have the label/brand/manufacturer of the super cute reindeer cups? I can’t seem to find them online anywhere! I found one similar, but not quite as cute! Thanks! I found it over at William Sonoma outlet store. I checked their website and I didn’t find them there 🙁 I wish I had more info for you. It actually looks like they are construction paper covers made for solo cups. I’m sure you could make them on your own. Oh my goodness these are so darling! Um…yeah! This looks so good, but not only that. It is so darn cute in that cup! 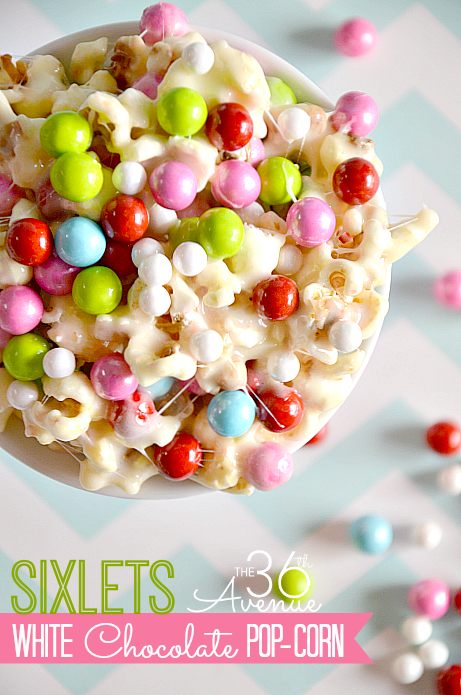 I have some tins I was planning on putting popcorn in, but I think I am switching that up and making this to give to neighbors. They will thank me. Because this will be so yummy. They are super good! Have fun and Merry Christmas! I actually found them over at an Outlet Store while visiting Texas. I wish I had the template for it! mY KIDS WILL LOVE THIS!! Thank you for stopping by Jen!